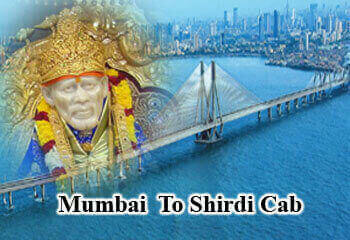 Pawar Travels provides you cab facility from Mumbai to Shirdi, The Mumbai to Shirdi Distance by road is 249 km via NH 3. It takes round about 3 hour and 50 mins to reach Shirdi the Land of Sai with less traffic. Shirdi is located in the Rahata taluka in the Ahmednagar District. Baba’s simple language and expressions and his politeness amongst all in solving their problems of all poor and needy soon made him fakir known as Shri Sai Baba. This Place Soon started to became a center of pilgrimage. Sai Baba of Shirdi strongly believed in uniformity of religion and he never made any kind of favouritism in terms of caste,creed or religion. Sometimes baba would shair their foof with the amimals there. Nobody knew who was he from where has he came which religion he Practiced. Sai Baba used to reside in a mosque and always referred it to Dwarkamai. All his life went in uplifting mankind. It is belived that Sai Baba was 16 years old wen he arrived Shirdi and spended rest of his life there only. Sai Baba Firmly belived in ‘shraddha’ that means faith and ‘saburi’ that means compassion which would lead to the state of godliness. While returning from shirdi we can give a visit to Shani Shignapur which is 72.6 km which takes just one and a half hour to reach there. We provide a Mumbai to Shirdi Package at a very reasonable rate and a best Mumbai to shirdi cab . Shani Shignapur is a place that has no temple arrangment houses the Shanidev. The Remarkable Deity in Black stone is overpowering, people perform pooja offering oil ,water milk along with flowers to the Swayambhu idol. The nearby attractions there are Shri Dattartraya Temple and the Tomb of Sant Shri Udasi Baba. The unique aspect of the villagers hear is they do not have doors or lock on them for safety reasons , They believe that there is the blessing of god that no crime ever occour in this village.